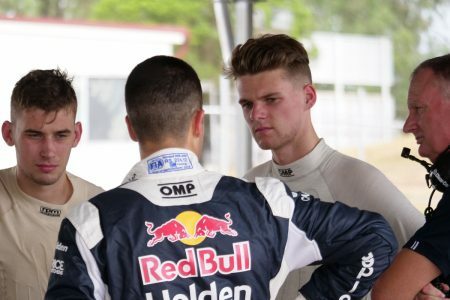 Brenton Grove believes that being able to learn from the likes of Jamie Whincup is a significant boost as he joins Triple Eight for this year’s Dunlop Super2 Series. Grove and Kurt Kostecki will line up for Triple Eight at the opening round in Adelaide as the squad enters the second-tier of Supercars competition for the first time since 2013. They had their first outing in Triple Eight colours at Queensland Raceway on Thursday, with Jamie Whincup stepping into Grove’s car for a handful of laps. Working alongside the seven-time Supercars champion proved a confidence boost to Grove, as the pair provided similar feedback after their outings. “Jamie’s the best in the business at what he does and the way he drives the car is very perfect,” Grove told Speedcafe.com. “To have his feedback and his information is awesome for someone like me that’s young, trying to learn the right way. “You definitely can try and understand how he drives a car and then adapt to your style and mould yourself to be similar to him because, he’s obviously done so well for so long. “I’ve got a lot of confidence that what’s he’s saying and what I’m saying are correlating,” he added. During the summer months Grove has been racing in the BNT V8s in New Zealand, racking up miles which have served only to reinforce his confidence. “I didn’t really realise how much it’s helped,” he added. Though set to drive under one of the banner of one of Australian motorsport’s biggest names, the 21-year-old Grove believes there is no additional pressure or expectation on him. “No one puts any pressure on me that what I do, so to come into a team like Triple Eight there’s no extra pressure, there’s no extra expectations,” he claimed. “We’re all just working together to try and do the best job we can, not only for me, but for the whole team, and even the main game program. “I’m just trying to focus on myself at the moment and be a sponge, absorb every engineering meeting, every debrief, everything I can do to understand Triple Eight philosophy and why they’ve been successful. 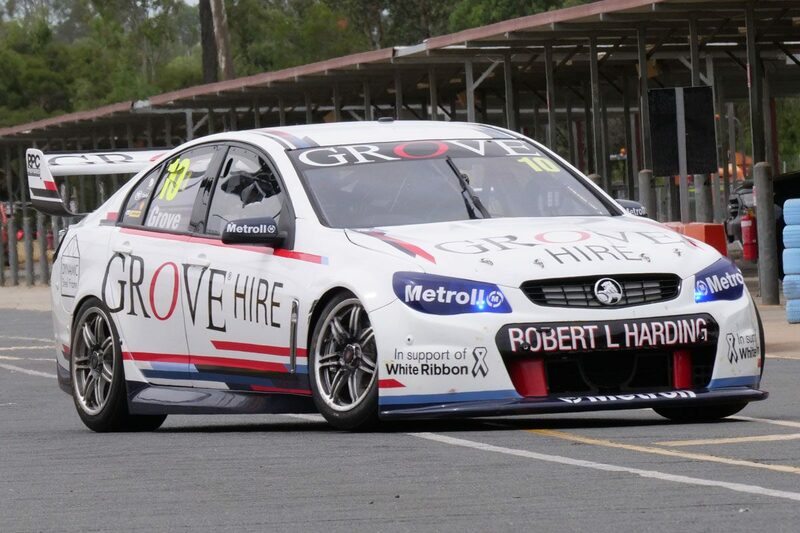 Grove will be engineered by the experienced John Russell, with whom he worked at the Liqui-Moly Bathurst 12 Hour en route to a fourth Class B victory with co-drivers Ben Barker and his father, Stephen. “We’re continuing the relationship here, and we’re getting along like a house on fire,” he said of the relationship. “He’s very experienced; he’s very good at working with young drivers like myself that maybe don’t have the experience of other people he’s worked with. Having represented Australia at the GT Nations Cup in Bahrain, Grove now hopes to graduate to a Class A Pro-Am car at next year’s 12 Hour. “It’ll be good to try and have a crack at Pro-Am, obviously driving myself and my father it’s a really cool and fun thing to do,” he explained. “We’ve been successful in Class B, so to move on to Class A, I think is the logical progression. The 2019 Super2 Series begins on the streets of Adelaide at the Superloop 500, running from February 28-March 3, while BNT V8s continue today at Manfeild.